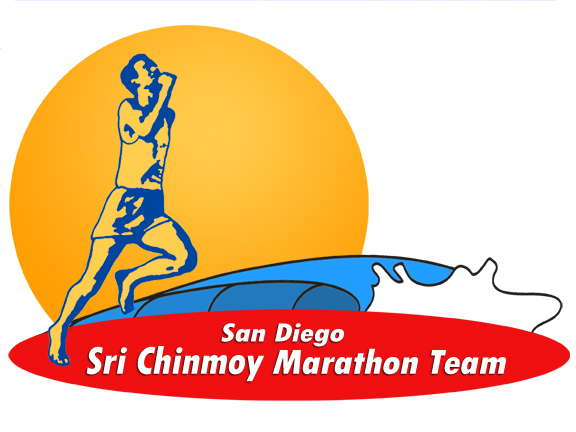 A classic San Diego event now in its 35th year! 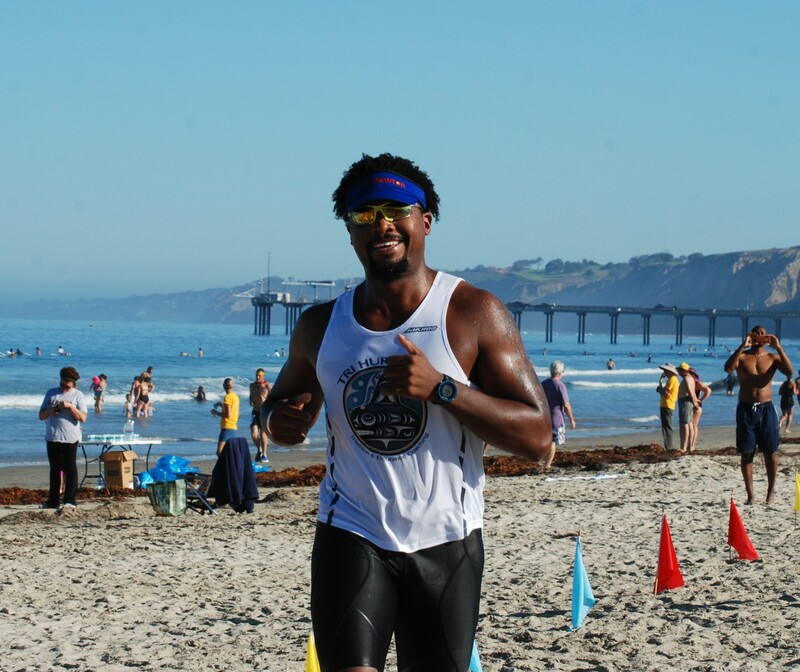 1-mile out-and-back ocean swim at La Jolla Shores beach followed by a 10K or 5K run on a loop course along flat-packed sand at water's edge. 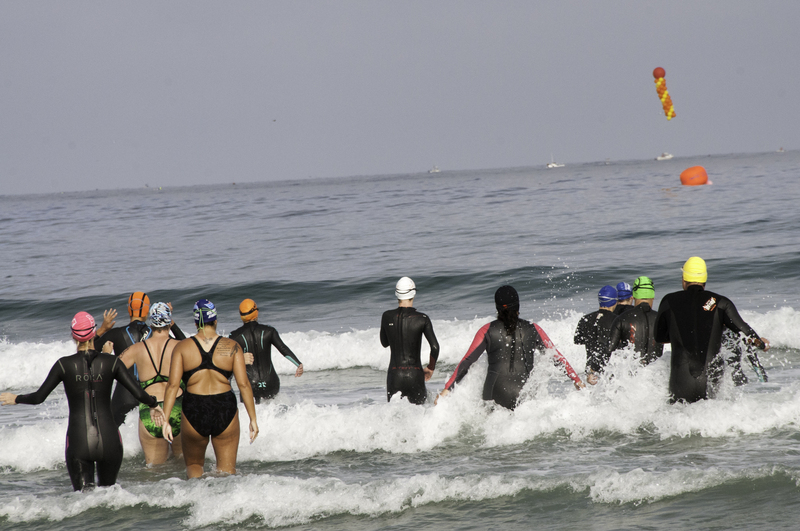 Participate as either an Individual or a Relay Team. 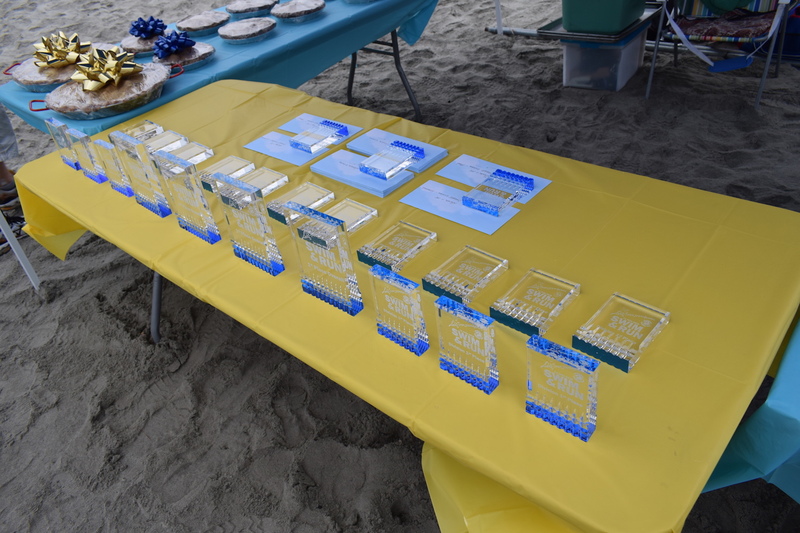 Awards for age-group individual athletes as well as top relay teams. 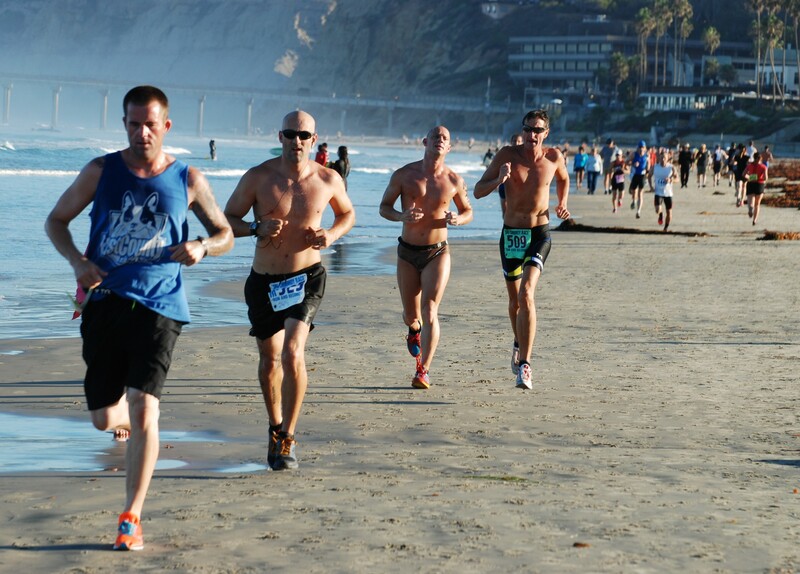 Chip timing, high-quality t-shirts (or water bottle), finisher's medal, and great refreshments for all athletes. 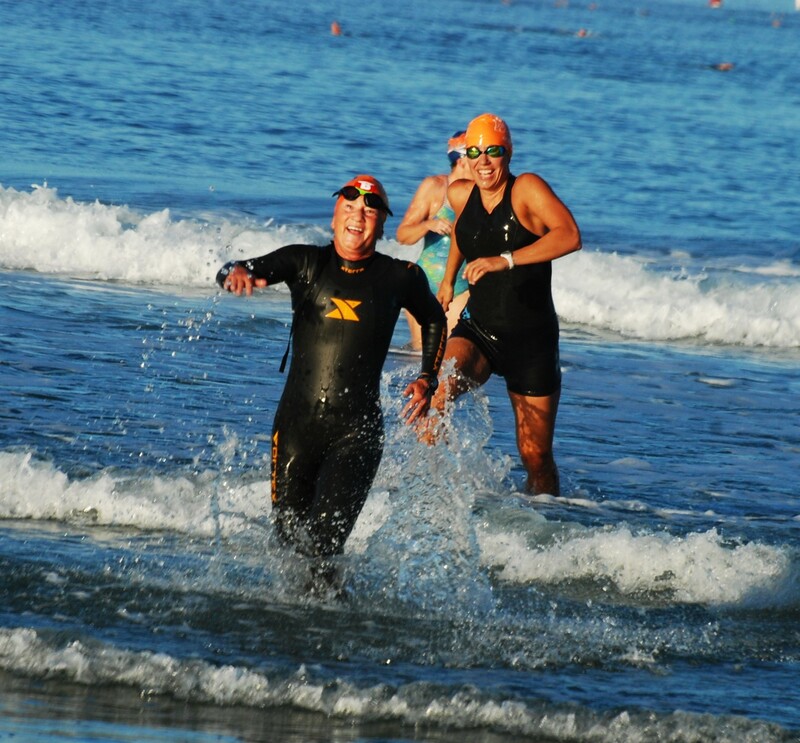 (Note: To register a participant under age 18, call Race Director at 619-251-6321.) 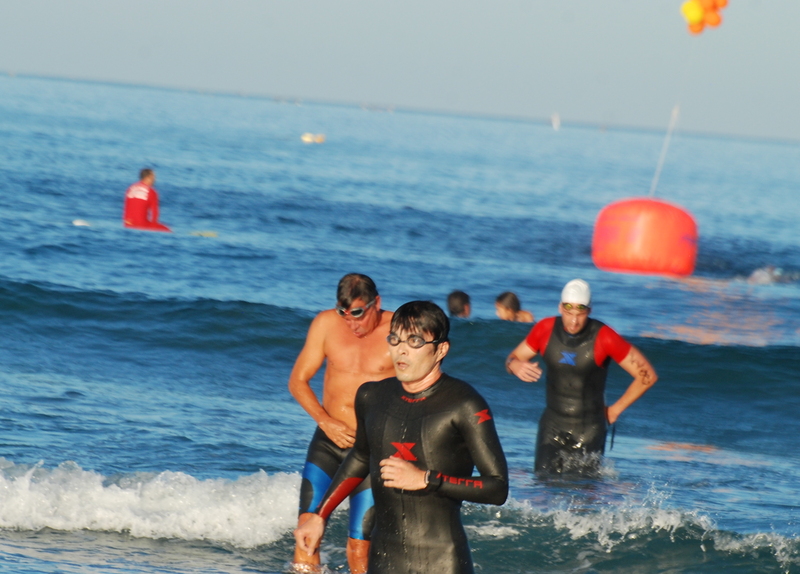 If you just want to enjoy the swim-only or run-only option--and not both--call Race Director for entry. 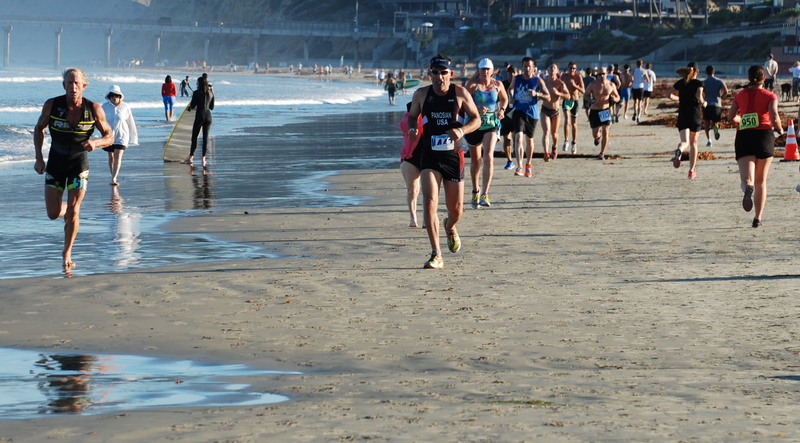 All race staging is at La Jolla Shores Beach. There is ample parking in the morning either in the lot or along the street. 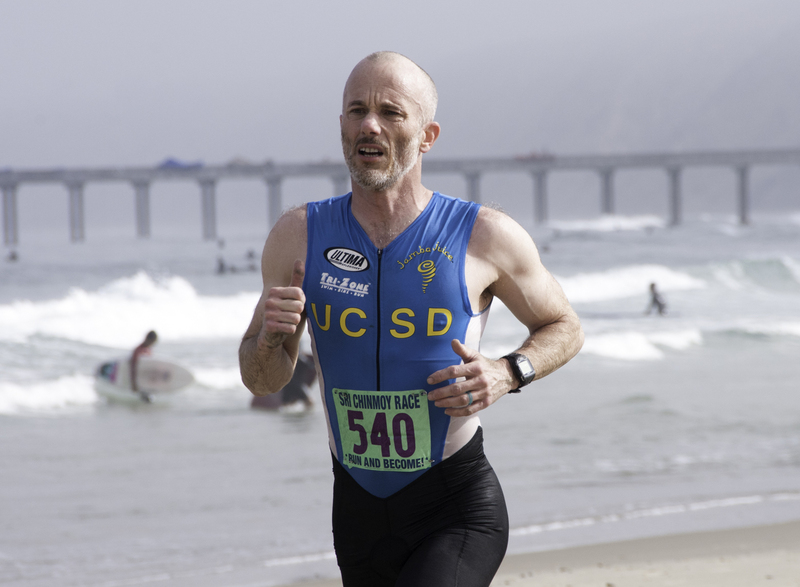 Athletes must check in, sign the liability waiver, get their chip timing bib, get a body number, and set up their gear in the Transition Area. So please be early! 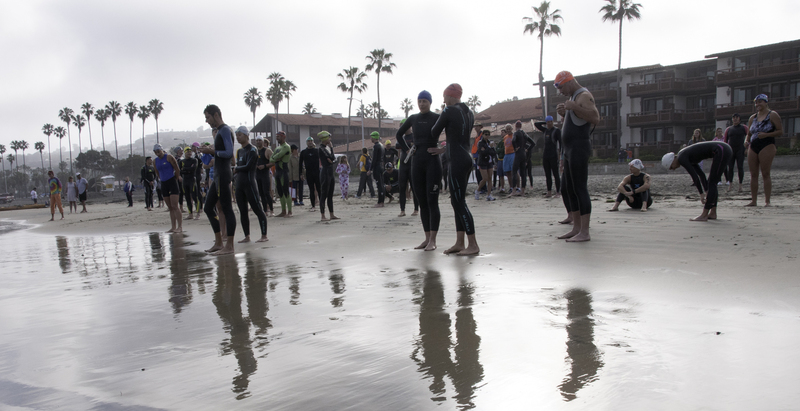 Check-in runs from 6:00 from 6:50 a.m. Race begins at 7:30 a.m. (Athletes will walk as a group to the swim start at La Jolla Shores boat launch). 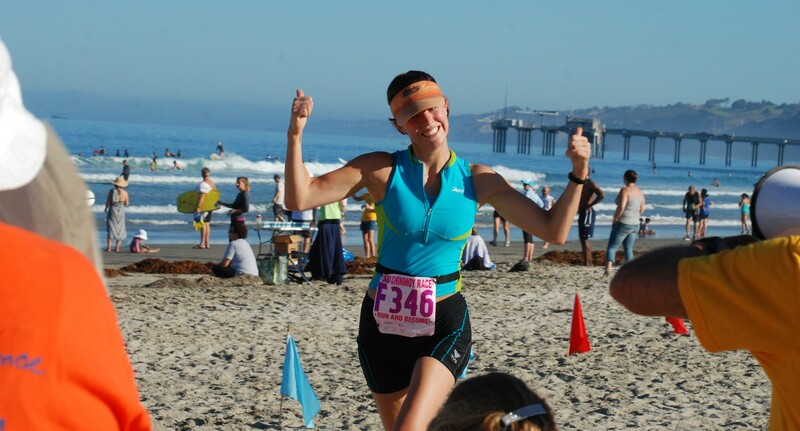 All athletes will get a body number but MUST wear their chip timing bib during the run.